I took this picture a year ago, on my first solo trip to Ireland. 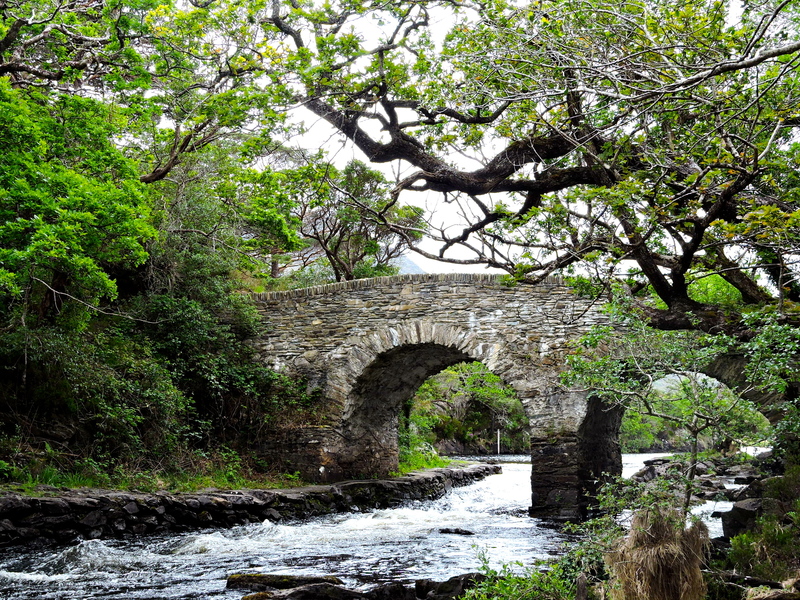 When I looked at this picture again I was instantly transported back to the beautiful and slightly magical Killarney National Park. I stumbled upon this bridge when I took a detour form the main walking path, and there was no one else around. Surrounded by the lush greenery, this reminded me of a fairytale; as if a princess and fairies were going to turn the corner at any moment. For me, this was a place straight from my imagination. Beautiful bridge..Thanks to the detour! Wonderful place! It looks so romantic!